Like a Hammer, the solo exhibition of contemporary art star Jeffrey Gibson, opens at SAM in about three months! Learn more about his exciting artistic practice from OUT and Architects + Artisans, who both review his solo show This Is the Day, now on view at the Wellin Museum in New York State. Launched in 2016, SAM’s Emerging Arts Leader Internship now boasts seven graduates—including two who are now full-time SAM employees. That’s pretty rad. Meet the current Emerging Arts Leader intern, Trang Tran! Toronto’s Narcity offers “13 Fun Washington Date Ideas That Are Way More Fun Than You’d Think”—including the Seattle Art Museum. The end of an era, indeed. City Arts announced that it is ceasing publication after 12 years. Brangien Davis of Crosscut explored what this means for arts coverage and for local artists. In advance of her TEDxSeattle talk last Saturday, Jono Vaughan spoke with Seattle Met’s Stefan Milne about the continuing Project 42, “active accomplice creation,” and sharing her platform. Jasmyne Keimig for The Stranger on The Vikings Begin at the Nordic Museum, whose moody galleries “capture the ethos of early Viking society”—including some surprises. Artnet’s Kate Brown reports on Rijksmuseum’s upcoming exhibition that commemorates the 350th year of Rembrandt van Rijn‘s death. I just love the simple, all-you-need-to-say title: All the Rembrandts. A few of SAM’s once-featured and still-favorite artists have been making news lately: Sondra Perry won the 2018 Nam June Paik Award, Kerry James Marshall was ranked number 2 on Art Review’s Power 100, and Mickalene Thomas is included on the OUT100 list. Murder most Baroque? Artnet’s Javier Pes on a London show exploring violence in the work of 17th-century artist Jusepe de Ribera, including rumors that he murdered his rival (dang!). Making art out of rude cell phone disruptions. 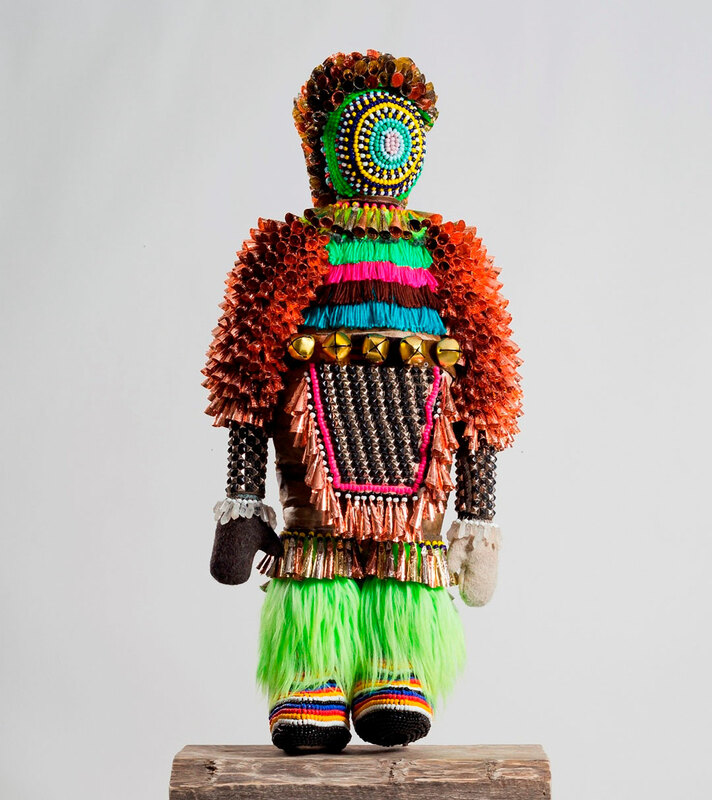 Image: Like A Hammer, 2014, Jeffrey Gibson, Mississippi Band Choctaw/Cherokee, b. 1972, elk hide, glass beads, artificial sinew, wool blanket, metal studs, steel, found pinewood block, and fur, 56 × 24 × 11 in., Collection of Tracy Richelle High and Roman Johnson, courtesy of Marc Straus Gallery, New York, image courtesy of Jeffrey Gibson Studio and Roberts Projects, Los Angeles, California, photo: Peter Mauney.